Captain Debug's Blog: Why Captain Debug? Why Captain Debug? 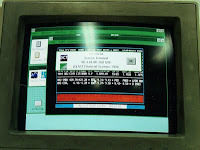 The name comes from an old DOS program debug.com that was a simple debugger that allowed you to debug DOS and early Windows programs at an assembly code level. It was affectionately renamed to CaptainDebug.com on a project I worked on may years ago. 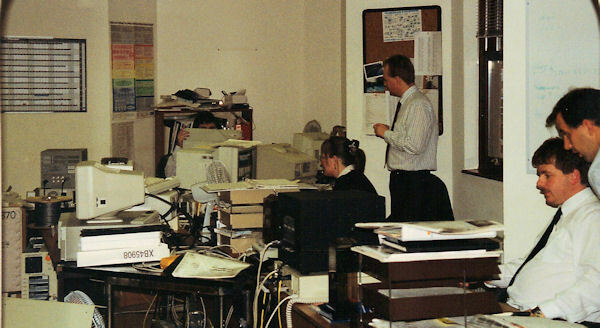 This was CityDesk, a financial information system that was ahead of its time. 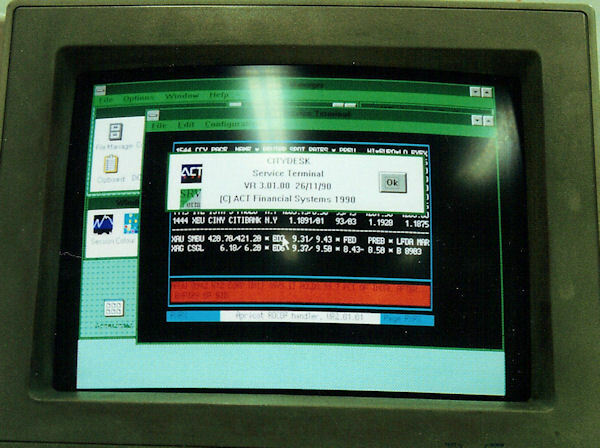 The systems was written in C (and later C++) and the standard debug tool of the time was Microsoft's Codeview. However, from time to time a bug would crop up that was so terrible that Codeview couldn't cope and it was then that you'd send for Captain Debug to come and fix your problem. 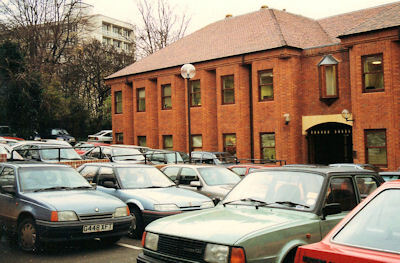 Citydesk was a great product, that is sadly now obsolete, but just for old time's sake, here is a picture of the development office taken in December 1990 - back in the day - haven't times changed? The Captain Debug blog is named after that program as it contains small, useful pieces of programming information that just may get you (and me) out of a fix one day.